Speaking from my own experience, I’ll need to warn you about the next – run away from the artificial sweeteners! I used to consummate them and all I managed to do was to ruin my health, but what can I say – the folly of youth…Still, this shouldn’t be an excuse. Many people attempt to introduce sugar substitutes at some point in life. Teenagers, for instance, are particularly sensitive on their looks and this preoccupation can make them lose self-confidence and the problem aggravates if a person has several pounds more. Truth be told, I too have experienced this situation a couple of times in my life, the recent example being the period after giving birth. This especially is the time when even the slightest comment on your looks can put you down more than an increased mortgage loan. So, I’ve started to buy various products with designated terms as “light”, “no sugar (added)” and similar, believing that no sugar equals no harm done to the fit figure. Who would then worry about the real health issues behind these nutrition claims? However, certain products are essential in some people’s diet for different medical reasons (diabetes for example) because their body does not produce enough insulin, but these products that they supposedly should rely on are actually bad for health. They are called artificial sweeteners and they have no significant value but to induce the body to crave sweets and on top of all, produce very harmful toxins as they break down in our body. Any sweet diet (weight loss) drink is full of artificial sweeteners, therefore, pay attention to the declaration of such product and avoid them as much as possible! Trust my word, it would be better to eat a kilo of plain sugar than a gram of artificial sweetener. Also, you are wrong to think that sugar substitutes can help you lose weight. Studies have shown that aspartame and similar artificial sweeteners not only entice appetite but also induce fat gain, increase carb cravings and the risk of getting obese. Saccharin, aspartame, neoeame, sucralose, acesulfame K and cyclametes make body dangerously acidic because their breakdown leads to many negative reactions in body. It consists of two amino acids, the aspartame acid and phenylalanine making 90% of the content while methyl ester accounts for the rest 10%. A few hours after consummation it converts to methanol that brakes down to formaldehyde which is a carcinogenic neurotoxin! All this transforms into formic acid, the venom which ants use to neutralize their competitors. And this is only one of many such ingredients in artificial sweeteners. Overuse of methanol may cause headaches, dizziness, nausea, digestion problems, weakness, fever, memory problems, increased heart rate etc. 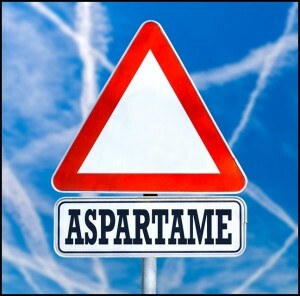 According to research made by Dr. Russel Blaylock, professor of neurosurgery at the Department of Medicine at the University of Mississippi Medical Center, aspartame crosses the blood-brain barrier and attacks brain cells and we all know what that means. This artificial sweetener was discovered by James M. Schlatter in 1965 by pure accident when he was testing the cure for the stomach ulcer. It was then that that the struggle to launch this product on the market had started. It’s interesting, though, that most results that go in favor of the aspartame come from the industry with partial interests, so the information I’ve listed should be taken into a consideration. All I can say about this particular “ingredient” is that after research conducted on animals, the same was forbidden on people, yet we still found in numerous products. Clinical research showed very hazardous effects in a control group of 42 people. This should also be avoided as much as one can, and bear in mind it is one of the basic substances found in analgesics. Other artificial sweeteners exist too, but I believe I’ve made my point. You can really do something good for your health if you simply avoid artificial sweeteners and turn to natural, far better-tasting sweeteners by the way, like honey, agave syrup, stevia, barley malt syrup, maple syrup or rice syrup. The choice is yours.